Welcome to Art Inspire Studio Resources page, here I have listed the tools and resources that I use and recommend. These are the tools that I can not simply live or blog online without. Occasionally i mention the tools that i use for my graphic design and other technical bits. Here is a list of them all for your easy reference they might be helpful to you too. I do get a little compensation if you purchase anything following my link but these are my top most recommended ones. I always have my readers’ best interest at heart and I truly believe that all the resources on this page can help you build and grow your blog or online business. 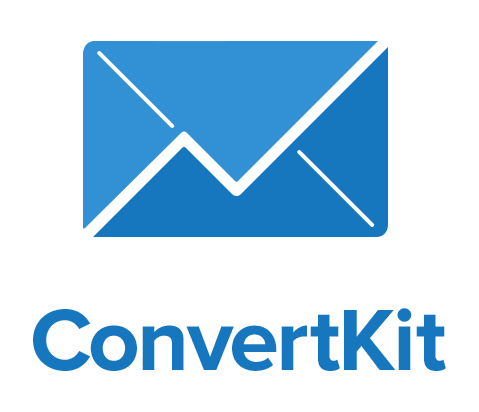 For email marketing convert kit is the best one out there. If you have a smaller email list or trying to figure out the whole concept of Email Marketing you can start for free which Mailchimp but with convertkit you can easily segment your readers and send them personalized content so your engagement level is always booming. if you have a smaller email list and hoping to start off small then i will recommend MailChimp . My mailchimp account has around 5 email lists . Once you get to know this tool it is very easy to use. Adobe Photoshop and Adobe Illustrator are the best pals for me , as I use them everyday . My number one tool however is Photoshop . If you are starting out in learning photoshop you can get photoshop 7 which is free. You can download photoshop free to get sarted. I recently seriously started using Canva , it does have some limitations when it comes to design , but overall it is a great tool for people who dont have enough knowledge of photoshop or illustrator to create graphics for their businesses. I use hootsuite as a free tool at the moment and it is working fine for me . I have my instagram and twitter connected to Hootsuite. That way I can easily schedule messages for the period of a month in batch & push posts for instagram with ease. I love this tool ! Archie is another tool if you are looking for some automation in the very begining of starting to use instagram. Although I do not like the use of automation tools which like and just that. But if you are initially startign up with instagram just to get a number of followers visible on your account I think it is a great tool. One of favourite tool which working is Snagit , from screen capture to creating graphics to screencast , this little tool is great for everyday use. Since my kids like to try their hands on recording minecraft videos even they can use it . Hands down simple to use ! Next to trello , I use airtable to manage my personal finances list, as well as the resources and quick links. A very practical tool indeed , it zaps bit of tasks for you while you sleep . Examples of zaps it can trigger are like add your subscribers of one list to another , send email , Automating tasks , posting your Instagram posts to other social media and so on. Like zapier , IFTTT can be really handy . I use ifttt to take items from my rss feed of etsy shop and then spread them over the social media networks. So once I publish a new product it is automatically posted to many channels , including but not limited to facebook , twitter and blogger. I just recently closed my etsy shop and decided to sell from my own shop . While I am still in the process of shifting products you will find a few of my designs still available. Creative market is my go to site when I need fonts or graphics. I use to like graphic river but on creative market you will find far more superior quality of work. 15 places to sell stock images and graphics from. I do earn comission on selling my stock graphic and images , in a recent post i have share 15 plces that you can also use to sell your graphics from. I love love love this book , I got my hands on this one just recently and I think every artist should read this. if you are into time management then this book is one that you should be looking into. Blue host is regarded as the best hosting web platforms out there . If you are starting a blog or looking into shifting to a new hosting provider then this should be your choice of hosting provider. I have recently started selling at Creative Market , among other selling sites for designers and freelance artists i have found Creative Market to be more seller friendly and also there is a considerable ease at posting contents as a sellers point of view.